I’m offering you two video lessons all about palette knife painting, paints, and cotton! 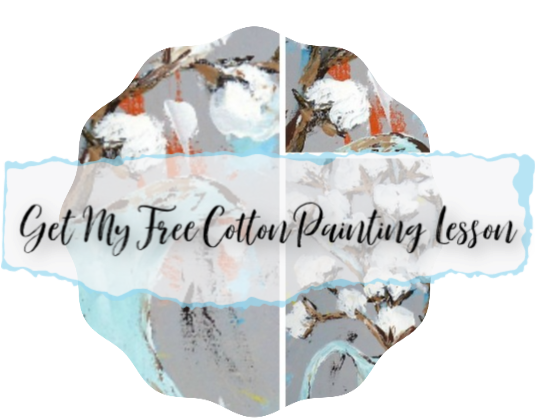 These two lessons were the first lessons that I created for my Creative Community paid painting group. I’d love for you to give them a try and see how addictive palette knife painting is! I promise you’ll love it! Cotton bolls are super popular right now in farmhouse decor! With these lessons, you’ll be whipping up cute decor for yourself or for gifts in no time! Here are a few examples of the work done by the ladies in our group after learning from these videos. To access the lessons, click the link below! Painting Cotton with a Palette Knife Video Tutorial.